Actress Catherine Zeta-Jones dropped off her 18-year-old son, Dylan Douglas, at Brown University. He recently moved out of their house and into his college dorm. 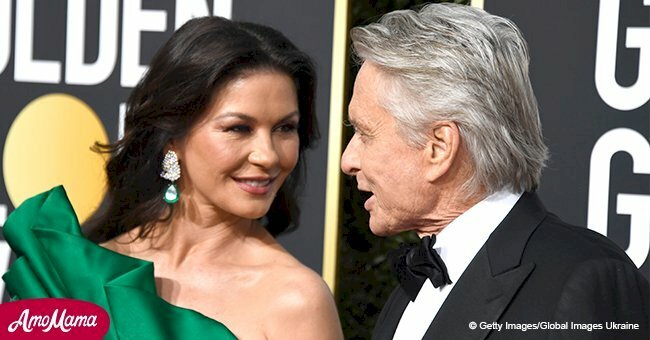 Together with her husband, Michael Douglas, and their younger daughter, Carys Douglas, Zeta-Jones said goodbye to her son as he is on a new journey as a freshman at the prestigious university. To mark the special moment, the actress shared a montage of the entire experience on her Instagram page. Zeta-Jones shared a collage of photos to show Dylan’s new dorm room and some pictures around the campus. Follow us on Twitter at AmoMama USA for more stories and details. At one point in the video, Zeta-Jones shared a sweet photo of Dylan hugging his younger sister, Carys, as they both cried while saying goodbye to each other. By the end of the short clip, photos and videos of a young Dylan appeared. 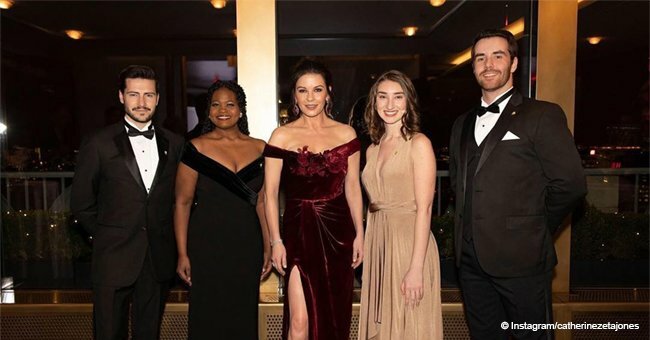 Zeta-Jones wanted to show how fast time passed by and that her son is all grown-up and ready to take on a new chapter in his life as an adult. Electric Light Orchestra’s “Mr. Blue Sky” made the video more emotional as it played on the background. Her followers on Instagram were quick to react and wished Dylan good luck on his new journey. They also praised Zeta-Jones for the touching video montage she made for her son. Some fans also shared their experiences when they dropped off their children for college. Zeta-Jones had always been close with her children. As shown on her Instagram page, she often gushes about them and likes to post photos of the two siblings. Previously, the actress shared a photo of a dapper-looking Dylan at his prom.